The Level One Band got together in Houston in 1998. Soaking in the style of vintage Aretha Franklin, Motown, Disco, and Old School Funk, the band developed a following that has kept them in constant demand with Houston’s hottest venues as well as private parties. 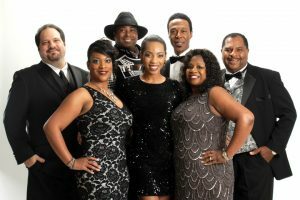 The Level One Band has earned a reputation for excellence not only for their music but also for the professional manner of dealing with clients and eagerness to please. Their high quality is consistent and they know how to get the good times rolling.